The earliest inhabitants in Lawrence County were the Osage, Quapaw and Caddo Indians. Some of the first Europeans to come through northeast Arkansas were likely Spanish and French explorers. In the 1700s a family by the name of Imboden immigrated to America from Switzerland and settled in Pennsylvania. One of the sons, Benjamin Imboden, immigrated to Missouri and later moved on to the present site of Imboden which was then a mere canebrake. The first title of the area was owned by Frances S. Pearce who transferred it to John Hynds who in turn sold it to Benjamin Imboden. By 1883 a railroad track was laid and the town was plotted. By 1884 the town's first business building was erected and in just 5 years it was a prosperous place. Because of the long outstanding services and integrity of the Imboden family, it was proposed that the town should be named Imboden. Lawrence County itself was named after Captain James Lawrence, a naval hero in the War of 1812. On the western edge of Lawrence County that there is an old water wheel mill known as Morgan's Mill which is located on Martin's Creek. In 1864, the Union and Confederate forces engaged in a 12 mile battle during the Civil War. 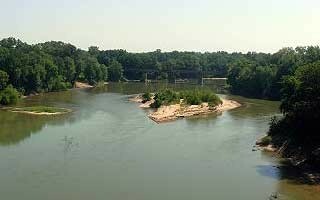 The battle ranged from old Morgan's Mill on the Spring River up and across Martin's Creek along the old Indian trail that ran from Memphis to Springfield. Lawrence County attractions include Clover Bend Museum, the Clover Bend Resettlement Village, Powhatan Historic State Park Village, the Walnut Ridge Army Flying School Museum, Walnut Ridge Depot and many more. Walnut Ridge Depot is a historic building that has been restored. It houses the Amtrak terminal and the Chamber of Commerce. Public primary and middle schools in Imboden include Sloan-Hendrix Elementary School, the Imboden Area Charter School and Sloan-Hendrix High School. Nearby colleges and universities are Arkansas State University (the main and Beebe branch), the University of Memphis, the University of Central Arkansas, Williams Baptist College in Lawrence County and Black River Technical College in nearby Pocahontas. Area hospitals and medical centers include Randolph County Medical Center and Lawrence Memorial Hospital. St. Bernards Medical Center and NEA Regional Medical Center are both located in Jonesboro just 40 miles away. Some of the most scenic rivers and majestic lakes in America can also be found here. You can enjoy trout floats on one of the 5 area rivers the Spring, Eleven Point, Strawberry, Black & Cache Rivers plus bass and panfish catches on lakes and smaller streams. Recreational boating, canoeing and swimming are also available or you can take a leisurely walk along a trickling stream or take a more serious walk on an award-winning hiking trail. You'll also find plenty of duck hunting, deer hunting, turkey hunting, trout fishing, bass fishing, boating and camping in area facilities that include Old Davidsonville State Park, Lake Charles State Park, Powhatan Historic State Park, Crowley's Ridge State Park, Mammoth Spring State Park, the Dave Donaldson/Black River Wildlife Management Area, Shirey-Bay-Rainey Brake Wildlife Management Area, Strawberry River, Eleven Point Scenic River and others. City maintained recreational facilities include a baseball field, tennis and basketball courts, and 3 public parks. Old Davidsonville State Park was formerly known as a town established in 1815 as 'Davidsonville'. It covered the northern third of Arkansas and is commonly known as the location of Arkansas' first courthouse, post office and land office. It is now known as a community that houses the impressive state park near joining of where the Eleven Point and Spring Rivers dump into the Black River. The Powhatan State Park houses the historic 2 story courthouse that was built in 1888. It is on the National Register of Historic Places. The courthouse sits on a hill overlooking the Black River. The actual community of Powhatan was named after the Indian chief, Powhatan, the father of Pocahontas. Shirey Bay Rainey Brake Wildlife Management Area consists of over 10,000 acres. Dave Donaldson/Black River Wildlife Management Area consists of over 25,000 acresof wetland habitat known for its incredible duck hunting. 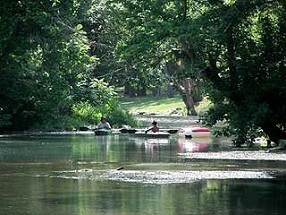 There is also the Robert Hankins/Mud Creek Wildlife Management Area consists of over 1,000 acres. It is known for its abundant deer, turkey and quail hunting since it is located in the northern hills of Randolph County.